Motoring bloggers have evolved as a whole new sector of the automotive press in the past few years. There are plenty of us and most work full time and write in the evenings and weekends. Together we are proving to be a real threat to the establishment, and the manufacturers are taking us seriously. There is a wonderful variety of writing out there from a wide range of bloggers - none of whom have an advertising budget but most of who are masters of social media. Here's my pick of the recent articles produced by the bloggers. Honda UK loaned Nitro Addiction their CBR600RR. Bikes are not what Nitro Addiction is normally about but how can you say no to something that redlines at 15,000rpm! After a week blasting around London and the South East here is Nitro Addictions review of the Honda CBR600RR. New Motoring is run by Sean Ward. Follow Sean on Twitter @newmotoring and have a read of his excellent article all about how self driving cars could make commuting easier. Oversteer Addicts is run by Paul Hadley and Ross Jukes. 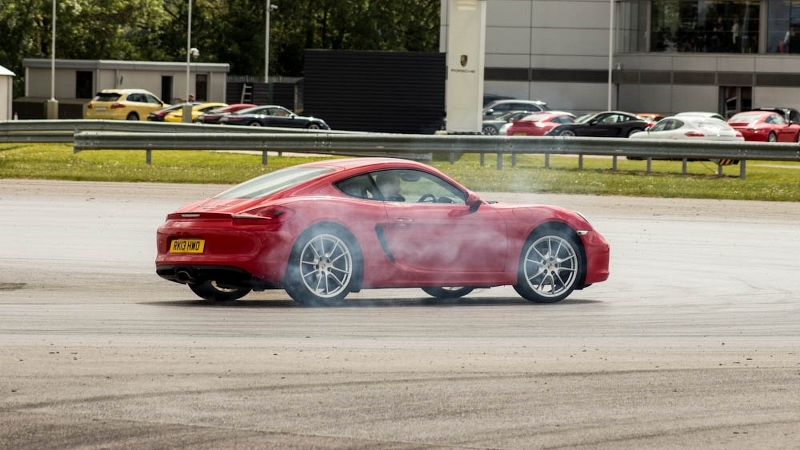 This is their test of the new Porsche Cayman - and it features some excellent photography. Weelnutter is run by Ben Hawkins. This is an excellent article on why racers race, why we watch and the dangers faced by both. Not strictly an article per se but as today is British Grand Prix day keep up with the latest F1 news and opinions by James Parker.